6th period has challenged 5th period to up their spirit. For the first time this year, T.O.L. 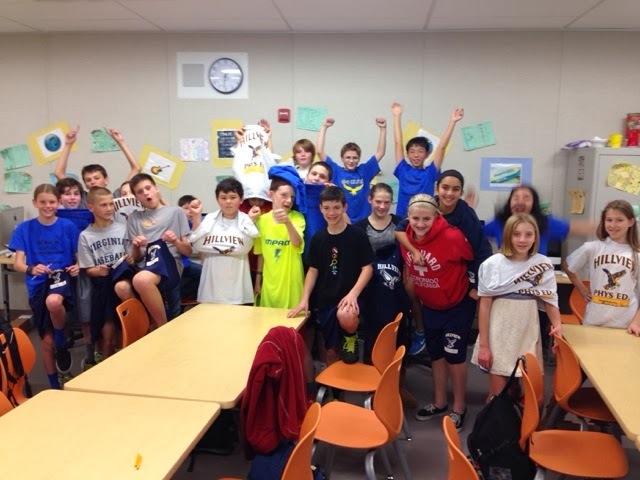 had everyone wear Hillview spirit gear....that's bonus spirit points in their 6th grade competition! It's on!! 5th period is going to try and achieve this goal by getting all spirit! This will take someone who really wants to earn the big party at the end of the year. Great job 6th period! Way to show your spirit! Congratulations! You motivated 5th period to do better every spirit week. Good job guys!! We need to step up our game! !